A Dutch firm has been commissioned by the Norwegian government to bury a sunken Nazi submarine in the sand to stop the 1,800 barrels of toxic chemicals onboard from leaking into the sea. 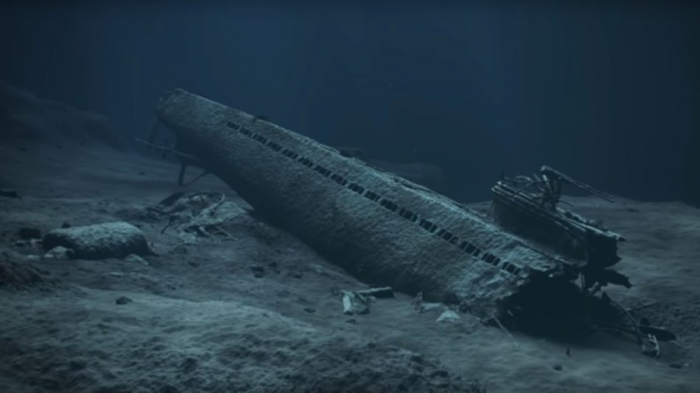 More than 60 years after the 2,400-ton U-boat was torpedoed by the British Navy off the coast of Norway, the vessel continues to leak dangerous mercury from rusted containers resting 500 feet (152 meters) below the surface. About 4 kilograms (8lbs) of the toxic metal oozes into the water each year, contaminating 30,000 square metres of seabed, high numbers of fish and enforcing a boat and fishing ban in the area about two miles off the coast of Bergen. Now, a Dutch company Van Oord has been hired to bury the wreck, and 11 acres of the seabed, in 100,000 tons of rubble to stem the leakage. The burial operation, expected to cost up to $32 million, will start next year and finish in 2020. Researchers say the technique has been effective in containing about 30 mercury-contaminated sites over the last 20 years. Previously described as an “underwater Chernobyl” by a spokeswoman for the Norwegian Coastal Administration, the process is not a permanent solution, but simply a delaying tactic for the 65 tons of metallic mercury that will be leaking into the sea for decades to come. Campaigners reportedly wanted the wreck to be brought ashore but authorities deemed the suggestions to be too risky as the bottles could break up as they were moved. U-864 was struck in early 1945 as it headed for Japan carrying jet parts, killing all 73 crew members onboard. It was first discovered in March 2003 by a Royal Norwegian Navy minesweeper after being alerted by local fisherman.